Welcome to the last favourites post of the year. I can't believe it! 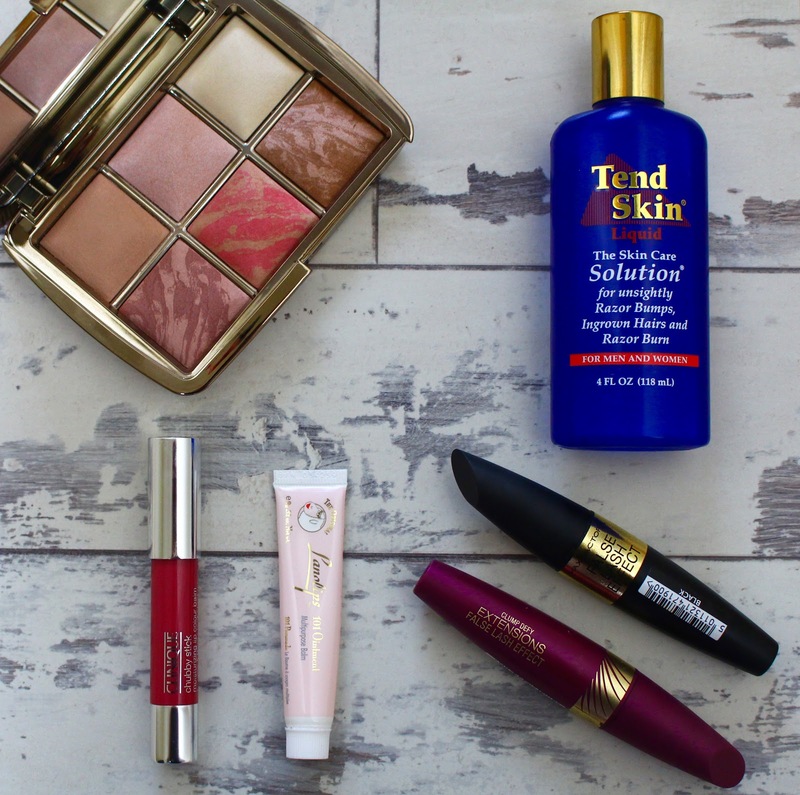 This month I have a good mixture of old and new beauty favourites. I'm going to start with the most exciting product; the Hourglass Ambient Lighting Edit. This palette houses six carefully selected powders from the Ambient Lighting range and if you have yet to try any of them, I urge you to give this palette a go. My favourite shades are the blush colours Mood Exposure and Luminous Flush. Mood Exposure is a really natural plummy mauve and Luminous Flush is a brightening pinky coral. If you'd like a more in depth review with swatches, check out this post. Sticking with lips, I needed a new lip balm for the flight. Now, I love my Nuxe Reve De Miel but it comes in a pot which isn't exactly hygienic for a flight. The Lanolips 101 Ointment is brilliant. It's a no frills no fuss lip balm that's very thick and nourishing and does exactly what it says on the tube. I think I may have discovered the winning mascara combination in False Lash Effect and Clump Defy both by Max Factor. I like to do two coats of False Lash Effect and one coat of Clump Defy for the most fluttery full lashes that look absolutely stunning. Finally for beauty, I've been loving the Tend Skin Liquid Skin Care Solution for ingrown hairs. I've been getting so many on my legs and a little of this over the area everyday solves the problem. I've got to include my holiday to Cape Town in this post. It's such a beautiful city and there is so much to do and see. My recent trip was actually my third visit and I'm already planning the next! I'm also working on a full post with recommendations of where to eat and stay and what to do. A little guide to Cape Town if you will. wow your photography skills are amazing! I love the clinique chubby sticks, I have the shade budding blossom which is a light pink colour it's very nice. Great post!